This is for ONE protector bundle. 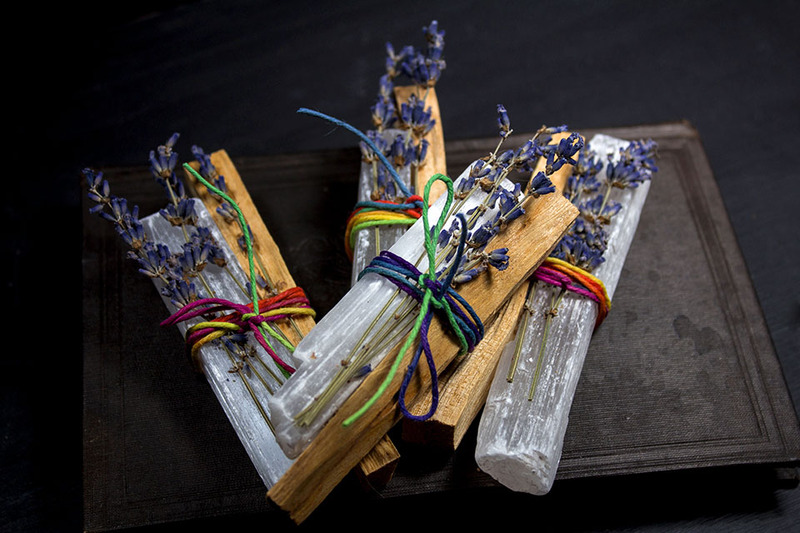 These powerful and beautiful bundles are made up of palo santo, lavender, and a selenite crystal. Uses these powerful little tools to bless, purify, and protect your home, self, and loved ones. 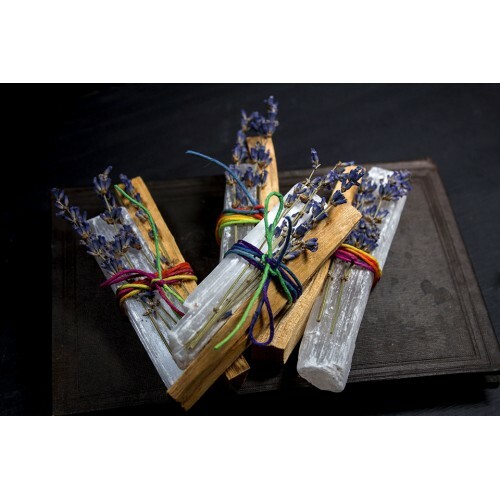 These are great for banishing negative energy and evil spirits. Light palo santo over or in a non flammable surface, and be careful and aware when burning. Note: Please read Terms & Conditions before purchase. By ordering from G.O.B. you agree to comply with all of the shop policies.